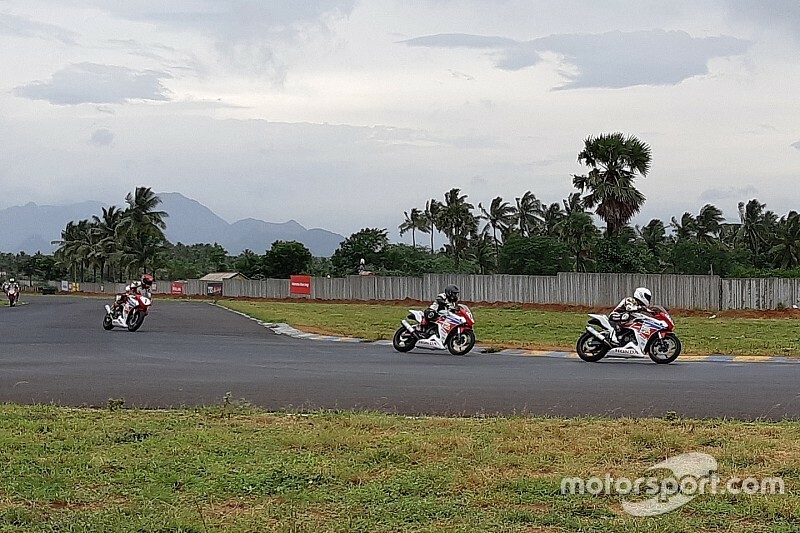 It was polesitter Abhishek Vasudev who led the field at the start on a drying track, keeping Honda Asia Road Racing Championship rider Shetty at bay. The two got indulged in a private battle of their own as they began to pull an advantage upfront, only for Vasudev to crash out on lap 4 and hand Shetty a comfortable lead. 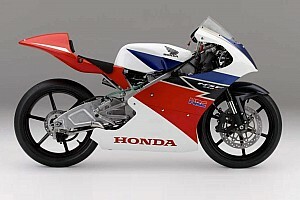 However, what once looked like an unassailable margin soon came to naught as Kumar, who finished 12th on his Thai Talent Cup debut, rapidly closed in on Shetty to emerge as a potential race victor. 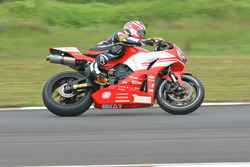 The two riders traded places several times, with Shetty overtaking Kumar on the penultimate lap. 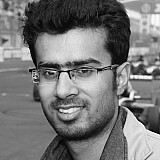 However, it was Kumar who had the last laugh; the 17-year-old repassing Shetty on the very final tour to claim victory by just 0.128s. 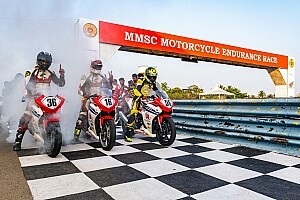 Jaden Gunawardena took the final step on the podium, albeit 10 seconds behind the leading duo, while the top five was completed by B Aravind and Amala Jerald. Aravind finished third on the road, but was handed a 15-second penalty for a jump start, dropping him down to fourth in the classified standings. Anthony Peter and Sathyarayana Raju were also handed penalties for the same offense. 16 riders finished the race, with Aaron Gunawardena and Nethali M being the only two retirees.